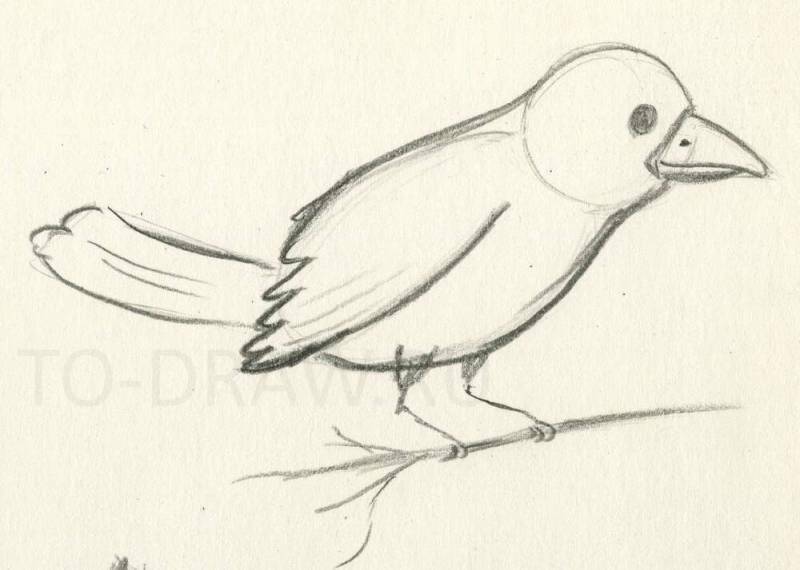 How to draw a bird on a branch with a pencil in stages? 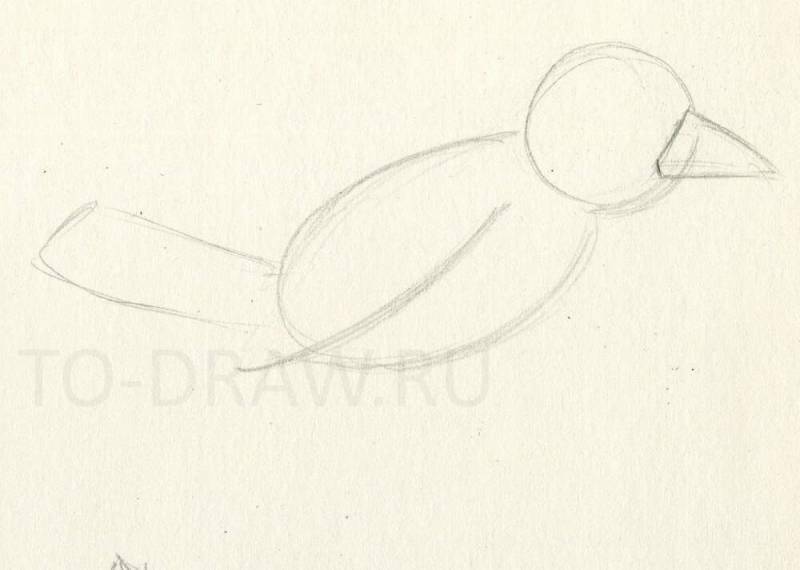 How to draw a bird on a branch with a pencil? This simple tutorial will be useful for young artists who are just starting to look at the world and trying to display it in his drawings. Will first draw schematically the head and body of our birds. Circle and docked her oval. 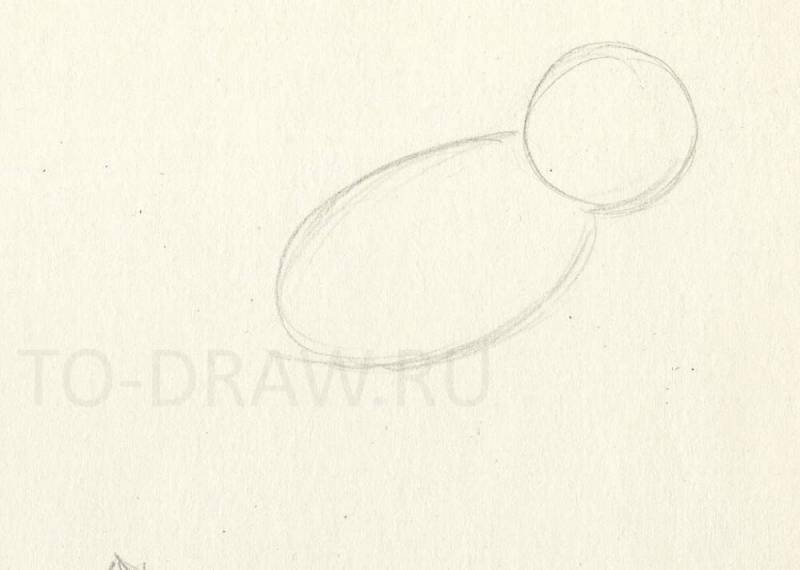 Draw the initial sketch of the bird. Then draw the beak, tail and wing. Add the beak, tail and wing. And then connect a smooth line head with the body. Define the shape of the beak. draw the eyes, feet. Next You already own can carefully and meticulously to work out the details. And at this stage, our draft is ready. Draw the eyes, beak and feet.